Twelve players. Young in body, but of ancient people. All of humanity is descended from their lines. They were created and chosen thousands of years ago. They have been preparing every day since. Nne can fly, or turn lead to gold, or heal themselves. When death comes, it comes. For them, for all of us. and the Great Puzzle of Salvation is theirs to solve. One of them must do it, or we will all be lost. Endgame follows 12 individuals, each the "chosen one" from their specific tribe. Every chosen person must be older than 13 but younger than 20. Their mission, to find the three keys to the Great Puzzle. The best part, you the reader can play along too. There are clues hidden within the book will take you on a real worldwide "scavenger puzzle" hunt. The clues will take you from the book, to the internet, social media to the real world. The readers puzzle has been written by three MIT PhDs and the winner will find a key which will opena bulletproof glass case containing a massive pile of gold coins. At first glance the story seems similar to the premise of The Hunger Games but this story is darker, heavier in content and much more thought provoking. Each chosen one is trained to play, survive and solve. "You are the twelve. All are fated to die - except one. The one who will win." To rest of the world they appear to be normal, they go about their daily lives as anyone else would. Going to school, falling in love, going through the normal teenage rebellion but the chosen ones are just sitting and waiting, counting down the days until they either turn 20 and the responsibility fall to the next in line or they are called for…..
"Endgame. The world is not supposed to know about it, or about people like me." The book follows each of the players, every chapter a different persons POV. Although the story itself isn't too hard to follow, with so many names and characters to remember, I sometimes had to skip back a few pages to help remember and refresh myself on who had done what. The Calling only takes us as far as finding the first key but it paves the way for what else is to come. Filled with mystery, murder and love. Friendships will be formed, players will die and emotions will run high but the question is, who will survive?? Published by HarperCollins Children's books, it is aimed at children aged 13 and upwards, although I would say with the content it is the parents discression whether they let their child read it because as I said as the beginning the book can be quite dark at times, the descriptions can be a little gorey. I personally found myself completely gripped by this story, unable to put the book down. I'm looking forward to the next installment as I am definitely routing for certain players over others and wondering if they will be alive for much longer. And I just have to mention that there is an app that has been released to go alongside the book, so you can join in with the Endgame just as the players are. 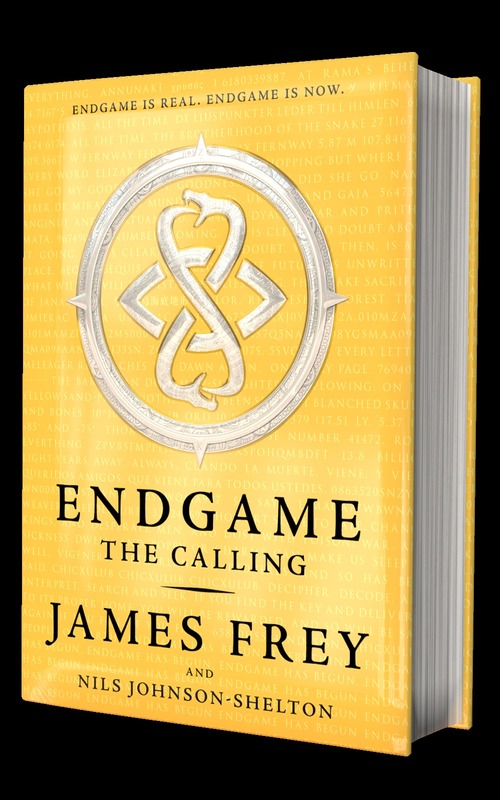 If you like the sound of Endgame you can enter my giveaway below which gives you a chance to win a copy of your own. Open to UK residents only, the giveaway will close at 11.59pm on the 2nd November. All entries will be checked and verified so make sure to enter correctly. Awful Auntie by David Walliams ~ good fun! My daughter is loving the Party Fairy books, they seem just the right level for her right now.